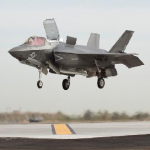 Textron‘s Airborne Tactical Advantage Company arrived Aug. 20 on Marine Corps Air Station Beaufort to train Marine Fighter Attack Training Squadron 501 pilots in using the F-35B Lightning II aircraft, Dvids reported Nov. 6, 2017. The training course will include classroom discussions, application exercises and air battle exercises. “We are a civilian contractor which provides real life enemy threat for training purposes for the Navy and Marine Corps,” said Jeremy Gunter, ATAC detachment officer in charge. The program will rely on actual battle replications instead of virtual simulation methods. “Simulators can only get you so far when you are learning a new aviation platform,” said Maj. Ross Fearon, executive officer of VMFAT-501. ATAC employed MK-58 Hawker Hunter aircraft, F-21 Kfir aircraft, four pilots and eight maintenance personnel to support the effort. 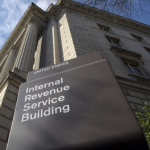 A recently released Internal Revenue Service report estimates that operations and maintenance costs for IRS information technology systems will reach $3 billion by fiscal 2026, Nextgov reported Monday. The six-year Integrated Business Modernization Plan released on Thursday states that the IRS spends over $2.2 billion to operate and maintain its systems every year.